Congratulations abound for new mother Tashi located at the Cincinnati Zoo & Botanical Garden’s. 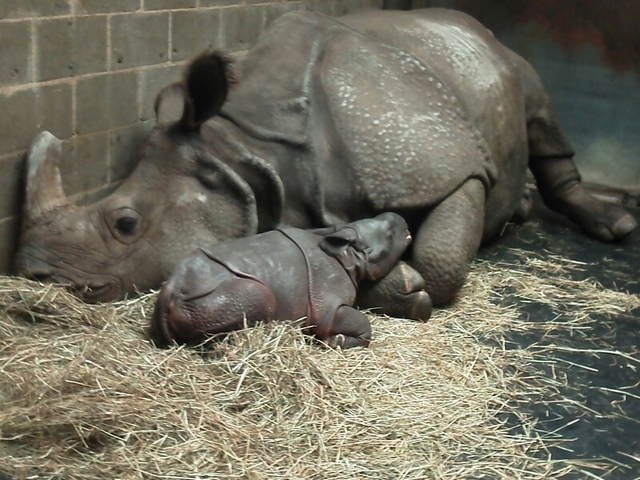 Her new calf, Monica, represents a large contribution to the Indian Rhino Population. Tashi conceived Monica through artificial insemination from a male Indian rhino “Jimmy” who never reproduced in his life time. Luckily, Jimmy’s sperm was collected and frozen for future artificial insemination. In this way, his genes, passed on through his posthumous offspring, would help diversify the gene pool of the critically endangered species.